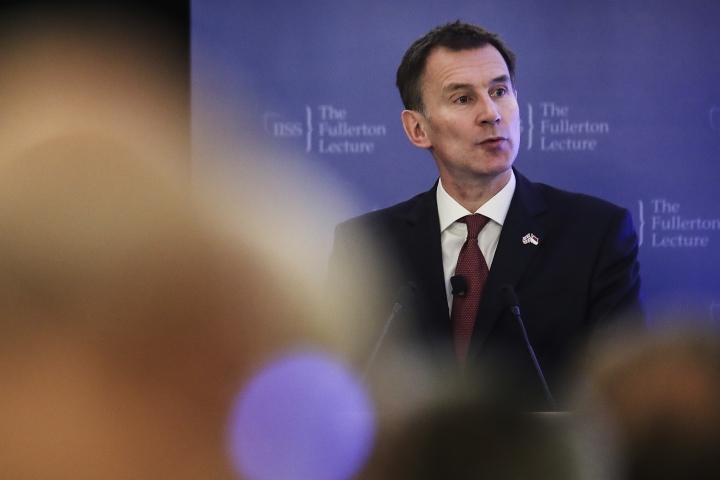 SINGAPORE — British Foreign Secretary Jeremy Hunt said Wednesday he is confident Prime Minister Theresa May will obtain the concessions needed to convince enough lawmakers to back an unpopular Brexit deal. Leaving the European Union without a deal on March 29 would cause "disruption that could last some time," Hunt said. "I think that she will find a way to get this deal through Parliament and I know that is what the British people would want," he added. 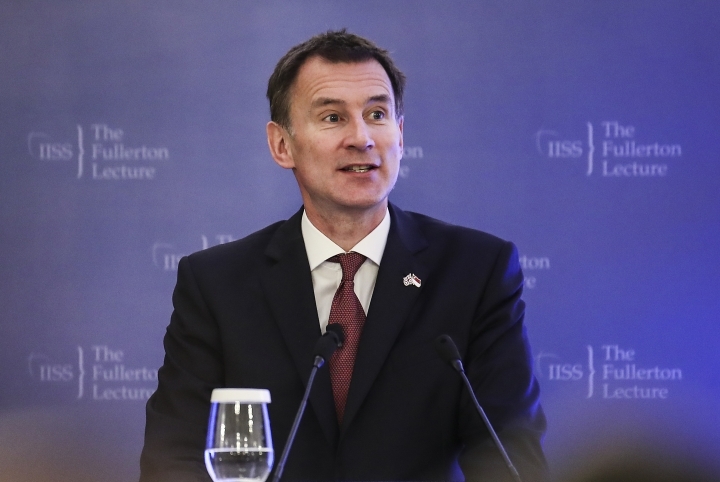 Hunt was replying to questions at a lecture in Singapore, the first stop on his three-day visit to Asia. Last month, May postponed a parliamentary vote on a Brexit agreement with the European Union that has been widely criticized by loyalists and political opponents alike. Her attempt to get assurances from the EU to sweeten the deal has been rebuffed by the bloc. Barring further changes, the parliamentary vote will be held during the week of Jan. 14 — just 10 weeks before Britain is set to leave the EU. 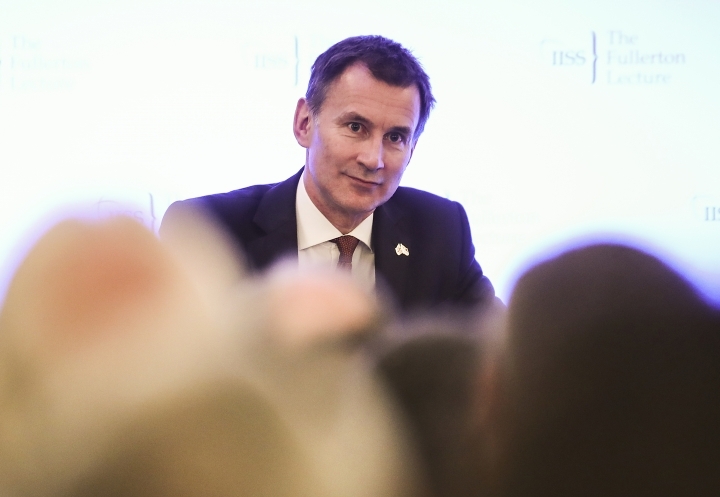 In an interview with the BBC on Wednesday, Hunt said ongoing talks are focused on the word "temporary" for terms concerning the Irish border. A so-called backstop could keep the U.K. in a customs union with the EU if the two sides can't agree on another way to prevent a hard border between Northern Ireland, which is part of the U.K., and the Republic of Ireland, which is part of the EU. "The EU has agreed that the backstop is temporary and that's a word they have agreed," Hunt said. "What we are saying very simply is 'we're not asking for anything new, but we are asking you to define what temporary means so that we can have confidence that we're not going to be trapped in the customs union forever.'" Even with a tight timeline, Hunt said a second referendum would be a "devastating blow to democracy." To unite pro- and anti-Brexit camps, "we have to make sure that there is a friendly separation where we have the closest possible trade relationship, the closest possible diplomatic relationship with our European friends and neighbors, because I think that is the biggest fear of the remainers," he added. "We need to find a way of making sure that the Brexit that 48 percent are afraid of isn't the Brexit that we end up with and I am confident we can succeed." Hunt said Britain will seek to strengthen its ties with Southeast Asia post-Brexit. He said this includes negotiating a trade deal with the 10-nation Association of Southeast Asian Nations and possibly joining the Comprehensive and Progressive Trans-Pacific Partnership, a Pacific trade pact. Britain is the biggest European investor in Southeast Asia, with trade totaling nearly 37 billion British pounds ($46.8 billion). Hunt leaves for Malaysia on Thursday. This story has been corrected to fix word in quote to "disruption" instead of "destruction." Bajet Harian highlights impactful business and finance news, particularly within sectors focused by the Malaysian Government budget as well as global news impacting the country. Copyright © 2015 - 2019 Bajet Harian. All Rights Reserved.